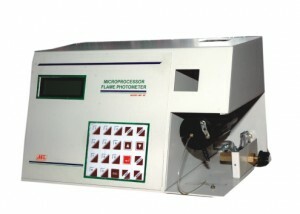 ME-82: Microprocessor Digital Flame photometer with Na & K Filters. Direct read out in ppm & meq\l . Auto ignition 16×2 lines LCD display single aspiration and dual reading display . It is supplied with compressor and other accessories for laboratory and medical use. Air Compressor With Built-in Regular to deliver stable and moisture/oil free air supply.